Asphalt roofs will require re-roofing every decade or two, but metal roofing can last a lifetime. That means there's no doubt that installing a metal roof can be a great investment for your family. But it'll only pay off if you maintain it correctly. While metal materials won't require a ton of roof maintenance (that's one of their perks, after all! ), you still need to do everything you can to keep it in tip-top shape. To ensure you won't have to call your metal roofing company for repairs at any point in the near future, you'll want to follow these dos and don'ts. Metal roofs are extremely durable, but branches and leaves can cause trouble. As a rule, you should trim back any tree branches within your roof's vicinity to be at least six inches away. This will keep leaves and debris out of your gutters, but it will also ensure that your roof won't get scratched by these branches. Damage like that can make your roof more vulnerable to bigger issues, so taking care with your landscaping can prevent the need for repairs or replacement. Even if you take care to trim back your trees, leaves and debris can still make their way onto your roof and into your gutters. When your gutters become clogged with gunk, your roofing system won't be able to properly drain and dry after rain storms or snowfall. Improper drainage can cause corrosion, and that could result in extensive damage that will need to be repaired. 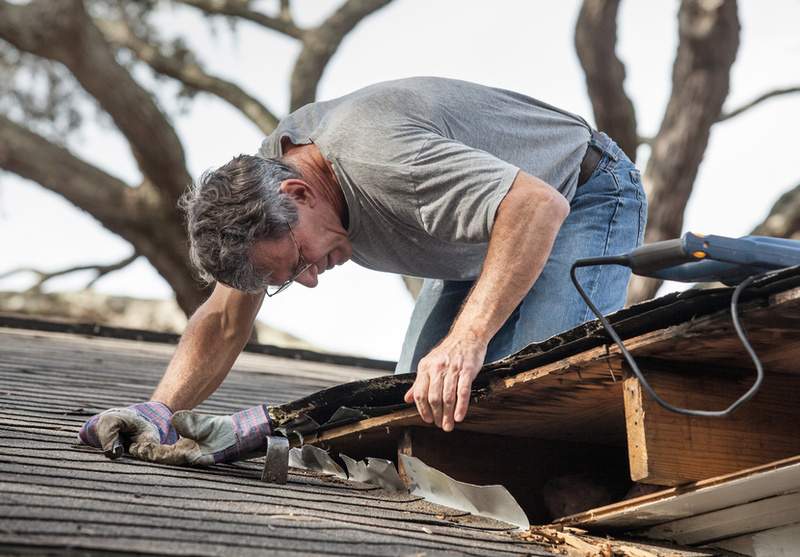 Potentially, your whole roof might need to be replaced in those cases. So be sure to clean out your gutters twice a year to protect your residential roofing. Most of the time, your metal roof won't require much care. But you should still be on the look-out for any scratches, stains, or debris on the roof. A ground-level visual inspection will sometimes be sufficient, but if you are ever in doubt, you should call a professional to take a peek. It's usually a good idea to schedule an annual (or even bi-annual) inspection with your roofing company. It is possible to clean your roof yourself with water and certain types of gentle detergents or cleaners. However, you should avoid using industrial solvents if you attempt this. They are stronger and get rid of stubborn stains, but they're also extremely harsh on your roof. In fact, it could do extensive damage to the film on the metal sheets and actually end up making it attract more dirt than it would have otherwise. 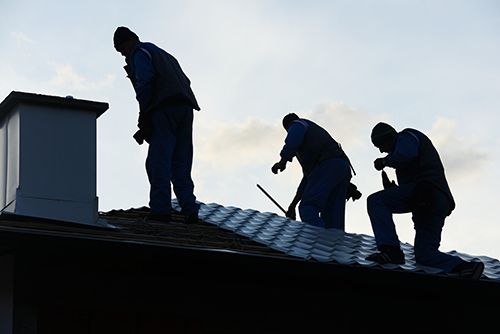 If you aren't sure how to properly clean your roof yourself, you can hire professionals to help you. When your roofing company installs your roof, these workers will have to walk on your roof a bit. But aside from installation and repairs, you should limit foot traffic -- particularly your own. Even though metal roofs are deemed durable enough to withstand your weight, you should not walk on it unless it's absolutely necessary. Not only will this maintain the integrity of your roof, but it will keep you safe as well. It's best to hire a professional in these cases, anyway. 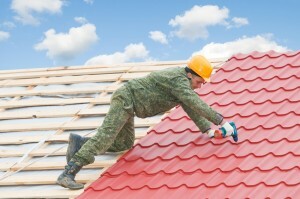 If you plan on repainting your home, keep your roof maintenance in mind. It might be easier to use a paint sprayer, but you'll likely regret it when the over-spray ends up on your roof. Unfortunately, there's really no way to get that paint off your metal roof once it's there. Unless you want to deal with replacing those materials, use a roller or a brush to repaint your home instead. Metal roofs are appealing because they require very little maintenance overall. Still, these tips will ensure that any maintenance you do need to perform on your home won't negatively impact your roof's ability to function or its appearance. 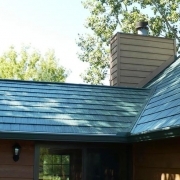 What is Better: Metal Roofing VS. Asphalt Shingles? Paramount Roofing provides roof installation, roof repair and siding services to the greater Dane County Wisconsin area including Cottage Grove, DeForest, Fitchburg, Madison, McFarland, Middleton, Monona, Sun Prairie, Verona, Waunakee, and surrounding areas. In addition, we provide roofing installation, roofing repair and siding services to surrounding counties including Rock County, Jefferson County, Iowa County, Walworth County and Columbia County. Paramount Roofing offers FREE roofing replacement, roofing repair and siding estimates! Contact us to set up your free roofing inspection today! Copyright © 2018 Paramount Roofing & Siding, LLC. All rights reserved. Asphalt Advantages: 5 Benefits Of Asphalt Roofing Will Metal Roofing Protect My Home In a Storm?